With our state-of-the-art “Same Day Dentistry” procedures, Los Angeles Dentists Dr. Joseph Marvizi, DDS & Dr. Rosita Rayhan, DDS. are able to fix your teeth and give you a beautiful smile all under one roof. Board Certified Dental Implantologist and Elite Invisalign Provider Dr. Marvizi will replace your missing teeth in just one day, and will straighten your crooked teeth without metal or wire. He is also board certified in Conscious Sedation Dentistry so there is no need to fear, you can relax and virtually sleep through your dental visit. End the Embarrassment That Comes With Missing Teeth! With our All-on-4 Teeth In A Day” dental implant procedure, we can replace your missing teeth in just one visit. With all of the necessary procedures being handled under one roof here at our dental practice in Los Angeles, you will walk in with missing teeth and walk out with a new smile. If you have one or more missing teeth, Dr. Marvizi is a Board Certified Implantologist with years of experience in dental implant restoration and will help you smile again. Don’t Let Fear Stop You From Getting the Treatment You Need! With our Conscious Sedation Dentistry services here in Los Angeles, we will make sure you experience a deep relaxation with virtually no tension or discomfort throughout your dental visit. Board Certified in Conscious Sedation Dentistry, Dr. Marvizi understands the fear and anxiety that you may experience with just the thought of going to the dentist. Because of this fear, you may be someone who will avoid dental treatment altogether which can be devastating to your health. Straighten Your Misaligned Teeth the Easier Way! Dr. Marvizi is an Invisalign Elite Provider in Los Angeles and will straighten your crooked teeth without metal or wire. People won’t even know you’re wearing these clear teeth aligners that are removable and easy to clean. Unlike metal braces which can cut your lips and gums, Invisalign aligners are made from a smooth plastic material which is more comfortable in your mouth. Since they’re removable, you can take pictures, go to social events, and eat whatever food you want. If your financial situation or lack of dental insurance has kept you from getting the dental treatment you need, then we have the solution! You can have your own Dental Savings Plan that covers x-rays, exams, two free cleanings per year, and more. Here at our dental practice in Los Angeles, we understand how a tight budget could make you put off the dental procedures that you need. Our solution will get you back to smiling and chewing normally again. No more cumbersome CPAP machine! With a custom fitted oral device, we can give you the relief you need! Call Us Today!! If you wake up tired and are exhausted throughout the day, are suddenly awaken by your own snoring, or if you experience headaches and fatigue, you may be suffering from sleep apnea. We Can Help! Go HERE to download, print and complete the Sleep Apnea Questionnaire form. It is our goal to nurture our patients in maintaining strong oral health through careful planning, patient education and technical excellence. Our Los Angeles Dentist Office is located at 6200 Wilshire Boulevard, Suite 1110, Los Angeles, CA 90048. Please give us a call at 323.931.3881 to schedule an appointment and we look forward to meeting you and your family so we can help you achieve optimum dental health. Rating: 5 Reviewed by Anonymous "I do not like going to the dentist. However, this dental practice is the best. Everyone, from the people at the front desks to the hygienists to the dentists, makes this place amazing. They are very caring and attentive. They work really hard to put my nerves at ease and I always have a great experience. My teeth are also very well taken care of. I moved out of LA two years ago and still come back just to go to the dentist." Rating: 5 Reviewed by Jill V. "I always have a great experience as soon as I walk in the door, the staff is always informative, helpful and always cheerful. Sima always makes sure that I am comfortable. I have been coming here for many years and will continue to come back." –Jill V.
Rating: 5 Reviewed by Mary-Elizabeth W. "Outstanding! I would describe this dental practice as follows: Smart professionals doing an outstanding job." –Mary-Elizabeth W.
Rating: 5 Reviewed by Renita T. "There is,simply no dental hygienist like Jenny! This dental staff is the best and offer excellent dental care! I've been a patient over 30 years...I haven't seen any one who can compete!" –Renita T.
Rating: 5 Reviewed by Ron S. "It's always a wonderful experience when I come to the office. The staff are really friendly and very knowledgeable. My hand shakes a bit, and the girl at the front desk helped me fill out my paper work. Very kind. Rose was my new dental hygienist and she was very friendly and did a wonderful job of cleaning my teeth. My overall experience is always great. 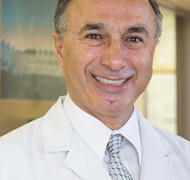 Lets not forget Dr. Joseph Marvizi. He is the best dentist I have ever been to." –Ron S.
"Rating: 5 Reviewed by Violeta T. "My family and I have been patients for over 20 yrs. I wouldn't change them for anything in the world. I live in The Valley and I don't mind the drive. Their friendliness and the doctors knowledge it's what it makes us want to come back." –Violeta T.
"Rating: 5 Reviewed by Nikoletta L. "Dr. Marvizi is amazing! Accurate, not wasting his time and get done everything what's needed to be done in a short amount of time. Knows what's he's doing for sure! It was a pleasure meeting with him, he is a truly kind and funny person whom looks after the patients. He finished my root canal and I was just sitting there... no pain, no discomfort at all and he makes you feel comfortable during the whole time. If you have any dental problems THIS is the place to go!!" 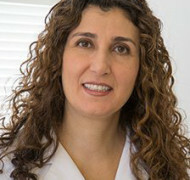 –Nikoletta L.
"Rating: 5 Reviewed by Todd D. "Came to see Dr. Marvizi without an appointment for a cracked tooth. No big deal I thought. After x-rays Dr. Marvizi I told me I needed to have everything 2 teeth extracted. From the beginning Dr. Marvizi and staff took care of me. Kept me informed about the procedure and I felt at ease. If your jn need of a dentist who is concerned and has great supporting staff, call Dr. Marvizi." –Todd D.
"Rating: 5 Reviewed by Laverne C. "My family and I have been patience of Doctors' Rayhan & Marvizi for the past three and half years. They are a very professional group that knows, and are excellent at what they do, which makes our visit, pleasant and fearless. They are very attentive to your special needs and will work with you to assure that customer satisfaction is met from beginning to the end of your procedure. If timing is an issue for you, well, that would be one less concern, as the entire team are very time conscious and respect not only their time, but ours as well. I can honestly say they care very much about their patients. Thanks Team, for your professionalism, for always making us feel special, and welcome! We appreciate you all! ~The Coopers!" –Laverne C.
"Rating: 5 Reviewed by Savannah B. "I have been going to Dr. Marvizi for more than 20 years. He did veneers for me and they are gorgeous. He has exquisite taste and does a very professional job." –Savannah B. "Rating: 5 Reviewed by Ed C. "This dental office is a great place, with an exceptional staff from the front office to the hygienist to all doctors. Definitely check this place out. Excellent!" –Ed C.
"Rating: 5 Reviewed by Erica B. "The doctors are a great team. Dr. Rayhan is beautiful and warm. She has a really calming presence. She's knowledgable and will go to any length to ease my dental phobia." –Erica B.